"@" Zaufi, How does one turn a racist (or a Muslim racist) to a pure Muslimist? There's no way to do it, you just hope and pray. The worst thing is most of us are doing along fine in interracial marriages. Then the people around you poison you with whisperings, 'What was the intention of him/her marrying you?' and you answer, surprised, 'Love!' 'Eh, don't be too sure about that! Maybe he/she just wanted a visa to your country! Maybe he/she saw you had a good job and wants to live a comfortable life' And you laugh it off, but it sticks there, poisoning your brain." "I'm Maltese married to Syrian. We had some probs at the beginning because it's obvious - I like mild pasta while he likes hot couscous (just an example, we wouldn't fight about that but I'm not airing serious problems). But it all works out inshallah. No one wanted us to get married - funnily enough only his parents were ok with us being together which came as a surprise since they always tell their children to marry another Syrian from their same community. My husband who lived in Libya all his life, recounted his end of the story. He says how the Libyans never wanted them around their children. Oh ok, it was alright to play with them, but it definitely was not alright to become married to them or have a slight interest in them. Now we're talking about two countries whose cultures are basically the same! Unfortunately we forget Muhammad's (pbuh) last sermon!" "by teaching them Islam Zaufi :) but perhaps they don't mean it in a racist way & are just more comfortable around someone who is similar to them ... the way they think, attitude, customs, whatever .... maybe inter-racial marriages are harder but they're more interesting :)"
"The answer is NOTHING if you're a true Muslim." What do you think? Is racism all in our heads or a part of society? People LET racism happen. As children show us, difference of appearance is not a problem until we let it become one. Sure, there will naturally be clashes because of different cultural backgrounds but it only escalates into a problem if people are too stubborn to open up their minds and try to understand. it shows where people put islam (sadly).had we put islam in front of everything else, little things like racial differences would not become the problem it is. it's so cute and funny. Thank you. 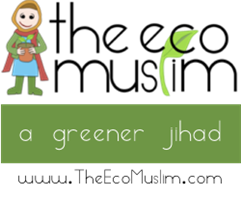 Have you read Muslimness.com? 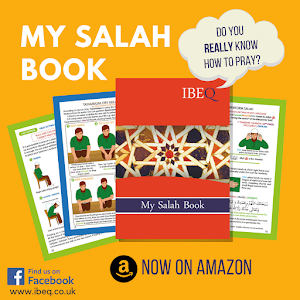 Order #MySalahBook now from Amazon! Updates: Instagram + Q&A Session!